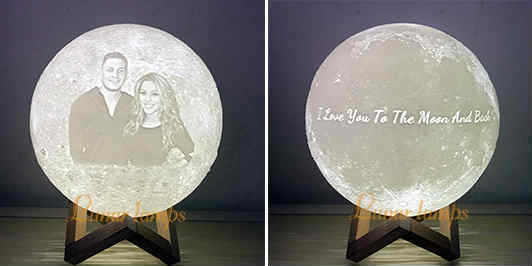 Magical "Love You To The Moon And Back" personalised moon lamp features love wordings, photos engraving on an elegant 3D moon night lamp, to show your appreciation for others, celebrate an important life event, show your love for family members, or even create a memorial for lost loved ones. Make it even more special for everyone you care about. All orders produce with the default style, if you have any design ideas (fav. font etc. ), please leave us a note. 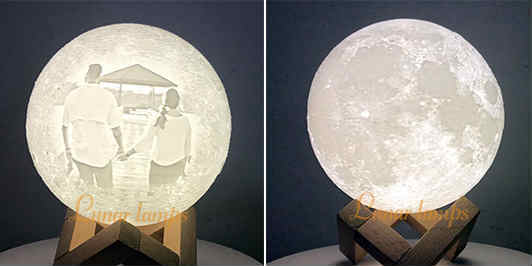 Stand: Moon lamps packing with Wooden base. 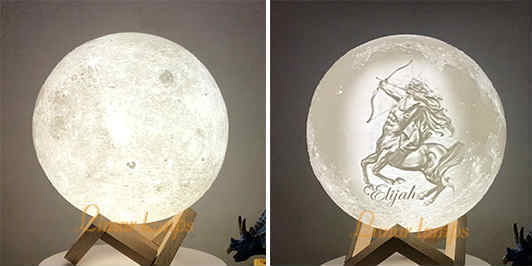 If you can't drop down to pick the lamp size as picture, pls click the Size link as list. 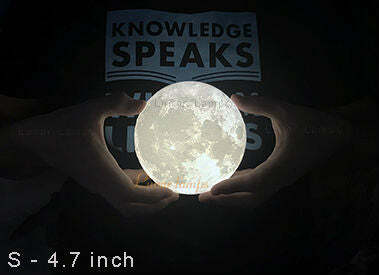 S - 4.7 inch ($70): supports all Text/ Photo/ Pattern, or combine them. 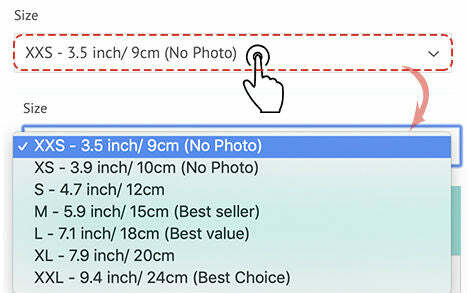 M - 5.9 inch ($79): supports all Text/ Photo/ Pattern, or combine them. L - 7.1 inch ($99): supports all Text/ Photo/ Pattern, or combine them. 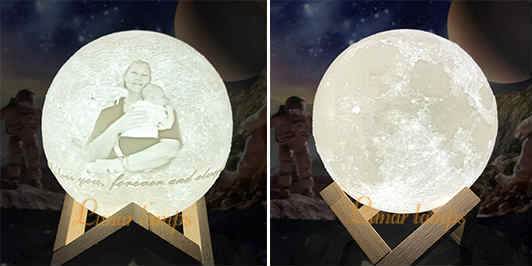 XL - 7.9 inch ($109): supports all Text/ Photo/ Pattern, or combine them. 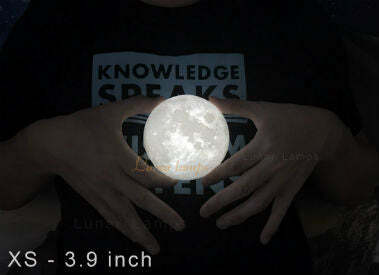 XXL - 9.4 inch ($135): supports all Text/ Photo/ Pattern, or combine them. 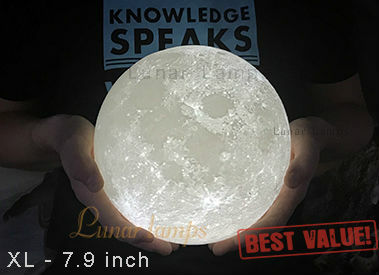 Beware of cheap knock offs selling fragile designs with non-compliant rechargeable batteries (very dangerous for your home)! 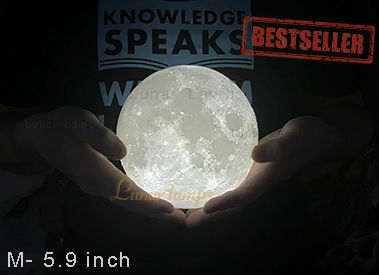 ⚠️ Our Personalised moon lamp are the only ones on the market with a uni-body (single mold) design and is FCC, CE, and RoHS certified so you can rest assured that it’s tested, approved, and 100% safe! 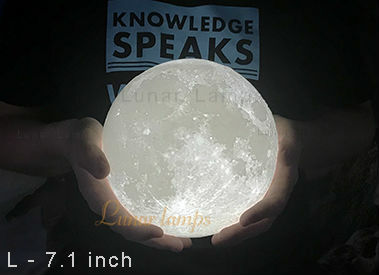 Each individual luna moon lamp has gone through a rigorous 28+ hour 3D printing process using state-of-the-art technology. 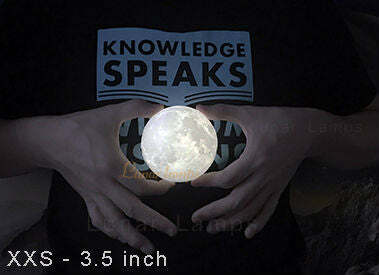 The design is made according to NASA satellite images to accurately reproduce the moons actual surface and craters. 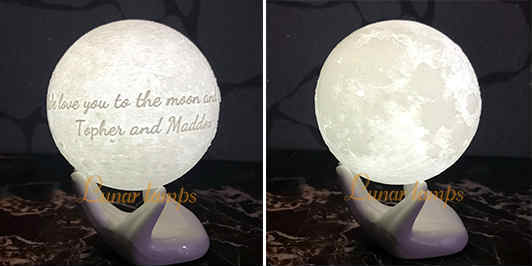 The power of the moon, now in the palm of your hand – order the Personalized Moon Lamp today! 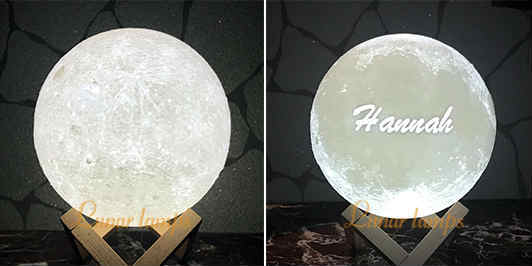 Note: Personalised Moon Lamp don't like the regular product, it takes 3-5 business day to do printing & handwork modification except Holiday season. Default FREE standard postal shipping take 14 - 21 business working day depends on the country.